This standard-grade screen printing unit is great for training. The wood frame measures 1.125" (28 mm) thick, with a 12XX multifilament polyester fabric screen. The glued corners have corrugated metal fasteners with a wooden sidekick. The back bar height is securely adjusted with wing nuts. The base is made of 1/4" thick hardboard. Each unit comes with a squeegee. 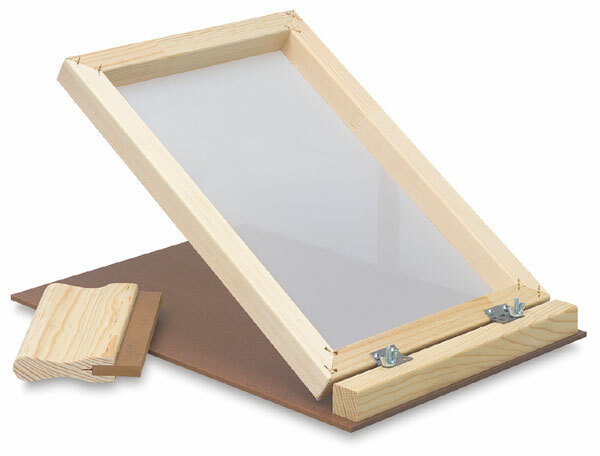 Screen Printing Unit with 7" Squeegee — This unit also includes three stainless steel registration guides.